If you are traveling to Myrtle Beach, or anywhere in our service area, you can avoid the hassle, stress, and extra cost of bringing your clubs with you by renting clubs from Golf Club Rental Express. If your company is planning a golf event and need rental clubs for your visiting guests Golf Club Rental Express has a simple solution. And if you own or manage a golf course and need clubs for an event or a tournament, Golf Club Rental Express is the answer. 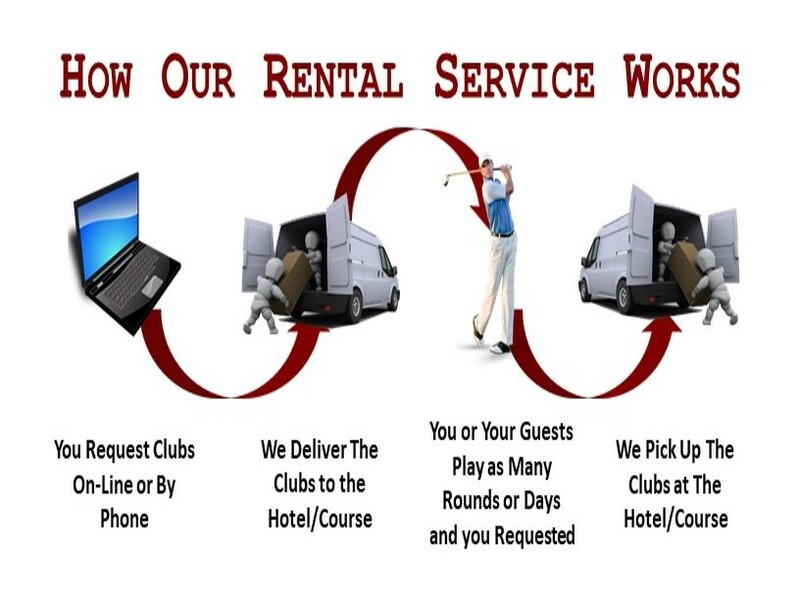 Renting from Golf Club Rental Express is easy, affordable, and a practical solution to your rental need. Just call or go on line to request pricing, we will email you details about our rental clubs, our cost, and how and when the clubs will arrive. Locally we will deliver the clubs to your hotel or a golf course of your choice, nationally we work with both UPS and Fedex to deliver our clubs on a timely basis normally one or two days prior to your requested delivery date. When you are done with the clubs we will arrange to have the clubs picked up.